WINCHESTER, ON (July 23, 2010) - The North Dundas Minor Hockey Association (NDMHA) announced today they have received a donation of 15 brand new sets of hockey equipment, courtesy of the National Hockey League Players’ Association (NHLPA) Goals & Dreams fund. This donation will help NDMHA provide more opportunities to local residents wishing to enroll their children in hockey. Matt Carkner, a Winchester native and local NHL product, was integral in the donation by referring and supporting NDMHA for this donation. Carkner and NDMHA made this special announcement today from the auto repair shop that Matt’s father Denis owns in Winchester, known as D's Collision Center OA Fix Auto. The first year of this expanded program will extend NDMHA’s loaner library of player equipment with these new sets of hockey equipment from NHLPA Goals & Dreams. A program was previously in place that provided used hockey equipment to Initiation, Novice and Atom. NDMHA receives a number of requests each season from parents looking for quality, used equipment as an alternative option to fully outfitting a new player. Other hockey associations operate similar programs, and they have enjoyed success in utilizing their libraries to introduce hockey to children who may otherwise not have had the opportunity to play the game. “NHLPA Goals & Dreams is very pleased to team up with Matt Carkner and the North Dundas Minor Hockey Association to give more local children the opportunity to play hockey in Winchester through this equipment donation. The biggest obstacle in participating in hockey is in fact the cost of equipment and the goal for our program is to bridge that gap for less fortunate children,” added Devin Smith, Chairman of NHLPA Goals & Dreams. NDMHA is a non-profit organization funded almost entirely through registration costs. A portion of the operating budget is covered by proceeds from fundraising events such as tournaments, local business donations, and a yearly prize raffle. Purchasing a sufficiently sized equipment library would otherwise not be possible without increasing registration fees. The donated equipment from NHLPA Goals & Dreams will enable NDMHA to avoid such an increase in registration costs while adding to the overall size of the equipment library. In 1999, NHLPA Goals & Dreams was launched as a way for the players to give something back to the game they love. Over the past 10 years, more than 40,000 deserving children in 22 countries have benefited from the NHLPA Goals & Dreams donations of full sets of hockey equipment; the players’ program has also assisted with upgrades and the building of hundreds of arenas world-wide. To date, NHLPA Goals & Dreams has donated more than $18-million to grassroots hockey programs around the world making it the largest program of its kind. 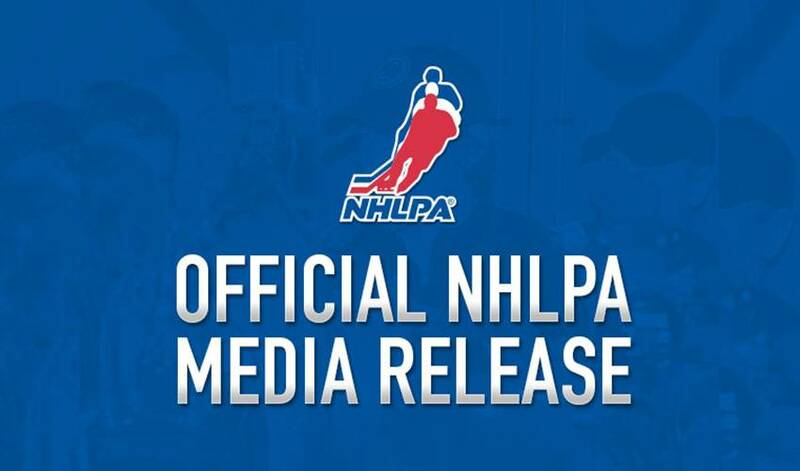 For more information, visit www.nhlpa.com.